Before and after: the basement window sashes have all been installed and bring much needed light to the space. This photograph was taken after a batten shutter was removed by our preservation staff from the basement in February 2013. After a slight delay, the newly milled window sashes have been installed in the basement. This week, Richard Marks Restorations, Inc. gave them a final coat of paint and left us with a significantly brighter basement. The main reason for installing these newly milled and glazed sash windows is to cast more natural light into the basement, allowing for more interpretation and education to take place there. The impetus for this project began in February 2013 when Patricia Smith, Curator of Historic Architectural Resources, and Joseph Mester, former Preservation Technician, conducted a rehabilitation of a window in the northwest room of the basement. The window had been covered by a batten shutter, which was removed. After observing how much natural light the rehabilitated window allowed into the northwest room, the preservation team considered removing all of the batten shutters and installing sash windows to achieve the same effect throughout the basement. This was explained in a previous blog post published in May 2014. 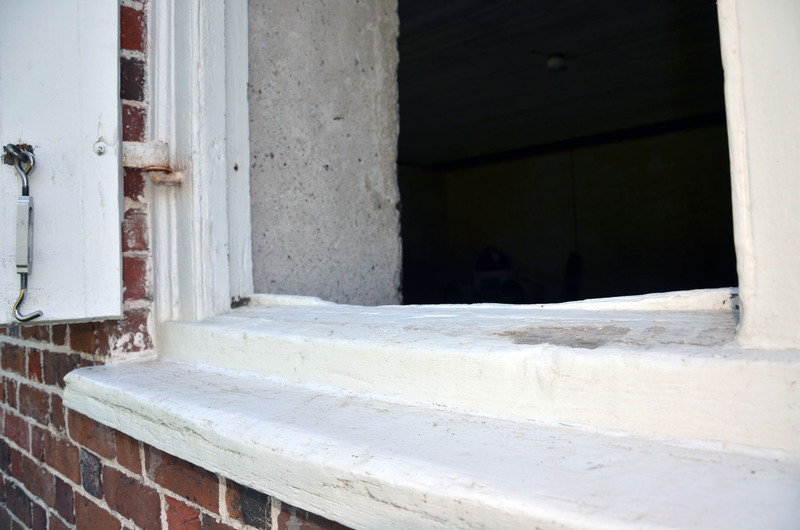 Like the window rehabilitated in February 2013, all of the window frames in the basement are constructed to accommodate a stationary upper sash and a vertical sliding lower sash. 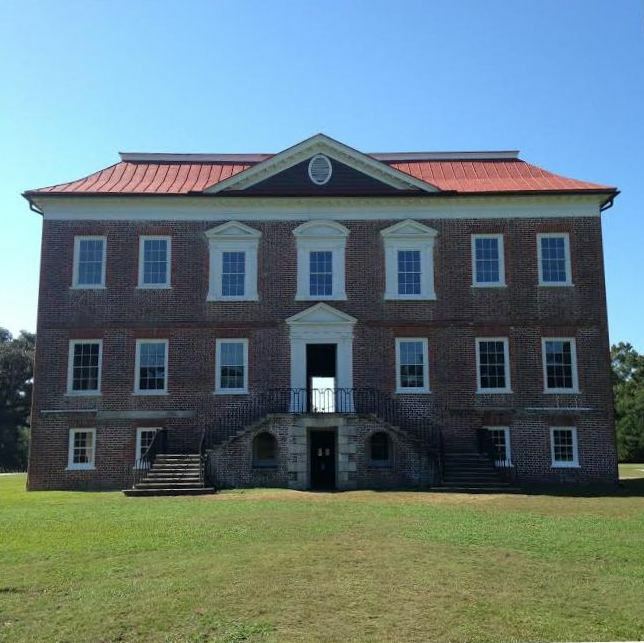 In keeping with the philosophy that Drayton Hall be preserved as it was received from the Drayton family in 1974, no significant changes have been made to those frames to reinstall window sashes and remove the batten shutters. 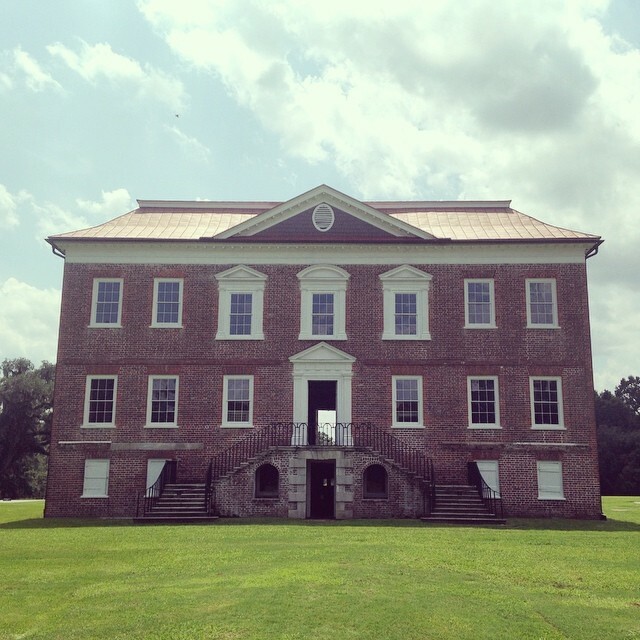 If necessary, the shutters could be returned easily to the apertures without disrupting any historic fabric. 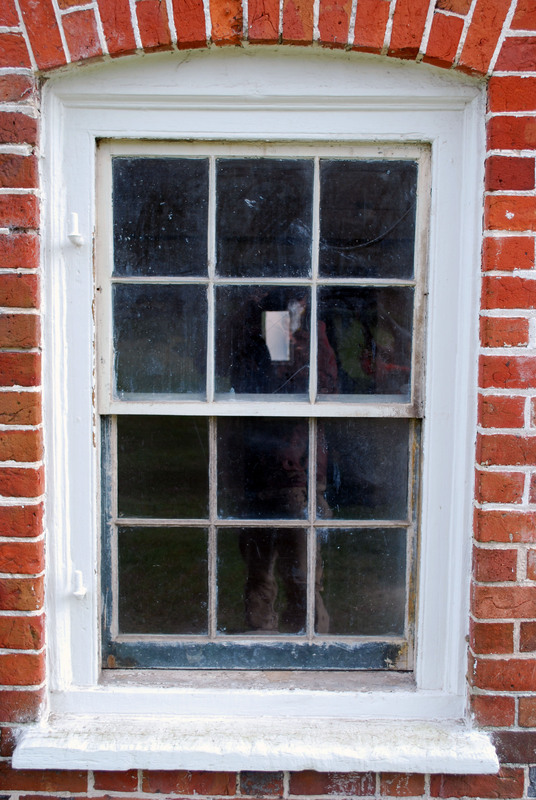 An example of a worn window stop in the basement of Drayton Hall. Once the preservation team decided to install sash windows throughout the basement, they turned to the Architectural Fragment Collection, which includes numerous window sashes they hoped to reuse in the existing window frames. Unfortunately, the sashes were not the correct size, so they contracted millworkers of Richard Marks Restorations to craft 36 light sashes to resemble the windows installed in the 1870s with ½” muntins. 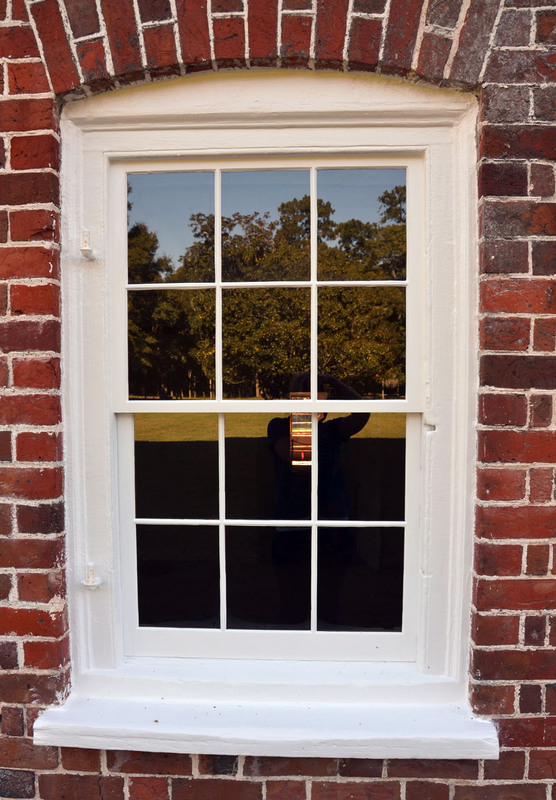 The new sashes are constructed in 19th century form to maintain continuity with the rest of the windows of the house. While the new sashes are built in the 19th century fashion, they are clearly modern, not to be confused with the historic fabric of the frames and window stops. Some of the stops are well worn, while others are in good condition. Richard Marks Restorations left those historic stops in place, regardless of condition. 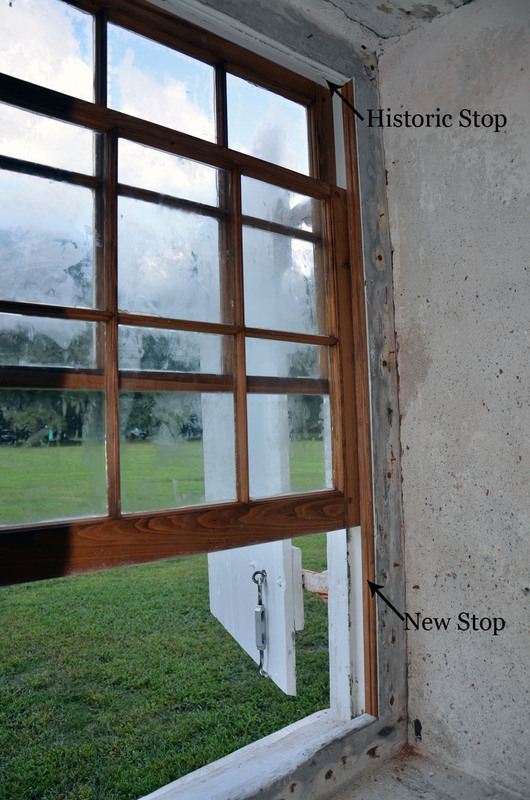 The new stops on the interior frames clearly differ from the historic stops on the bottom. This image shows the new stop with historic stops above and below. The new window sashes make a dramatic difference in the visibility in the basement. With the increase of natural light we can remove out of place electric lamps, previously needed to provide more light. More interpretive programs can take place in the basement, as all of the rooms are bright enough for visitors to see what surrounds them. Additionally, the new sashes better prevent rain from entering the basement and damaging the interior floors and plaster. We are very pleased with the work Richard Marks Restorations has completed for us, and look forward to the possibilities our newly lit basement will bring. The new window sashes make a dramatic difference in the basement by adding much needed light to the space.